Bangalore is one of India’s most developed cities. It is blessed with amazing climate, which is suitable for everyone. This city is well known for IT parks, drinking, dining and shopping. Food lovers in the city generally hang out with their close group of friends or family for lunch and dinner to get a break from their hectic schedule. Here are some of the best Bangalore restaurants for group dinners. Silbatti is one of the best places to dine out with a bunch of people. It is a casual dining restaurant, which offers delicious North Indian cuisine and a wide variety of non-alcoholic drinks. The ambience and greenery will create wonders by working up on your appetite. The setup of Silbatti recreates a typical North India Dhaba environment. The restaurant is located at HSR Layout. It serves with the spiciest flavours specially prepared by their in-house chefs. The restaurant features live music to increase the awesomeness of outdoor seating. Melt -Eden is the home to many cuisines such as Chinese, North Indian, Continental and Thai. This is a good place to satisfy your appetite with the delicious food. Melt is the perfect place to hang out with large group of friends or family. The restaurant provides a separate space for customers who visit in big or small groups. The drinks menu includes varieties of cocktails and mocktails. Buffet is also available at the restaurant. Live entertainment and live music will completely chill your mood. Earth Plate is the best place for buffet with your group of friends. Foodies with different taste buds can visit this place to experience the extensive variety of cuisines. It provides catering services to parties as well. It provides a separate space to smoke. 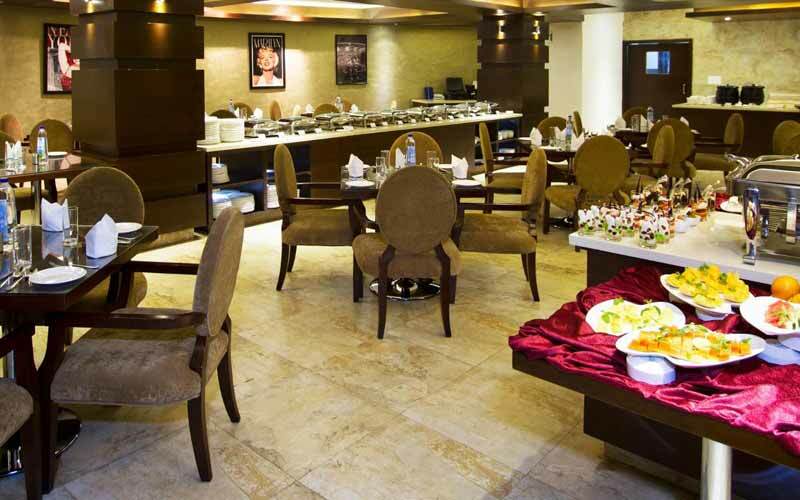 This restaurant mesmerizes every visitor with the wonderful ambience and amazing taste of food. The guests are served with the delicious desserts and cuisines. The flavour of the food remains even long after you leave the restaurant. Soho St is the best place for a night-out with friends and family or large groups. The menu includes exotic North Indian, Continental, Thai and Chinese cuisines. It serves a wide variety of liquors. The beautiful ambience, live sports screening, and aroma of food will increase your appetite. It has a separate smoking area to reduce the inconvenience caused to non-smokers. The beautiful wooden decor with mood-setting lights will make your dining experience special. The restaurant is spacious and can occupy several people at a time. This restaurant offers several deals and discounts from time to time. Marigold is the best multi-cuisine restaurant located in Whitefield. The menu includes North Indian, South Indian, Chinese, and Continental cuisines. It is best for a vast group of people with different taste buds. The customers are served with exotic dishes prepared by master chefs. The menu includes the variety of cocktails and mocktails. The restaurant provides both outdoor and indoor seating with a pleasant ambience. It can accommodate even large group of diners with ease. It provides a separate menu for kids. This particular place is best for a family outing, birthday parties or casual dining. Want to enjoy different delicacies served at these above restaurants? Visit these restaurants with your family, friends and enjoy the vast spread of delicacies.